My daughter loves anything tech, and considering that she’s only three I’m not sure whether that’s a good thing or a bad thing. I’m taking it to be a good thing as anything technology and gaming is going to be around for the rest of her life. 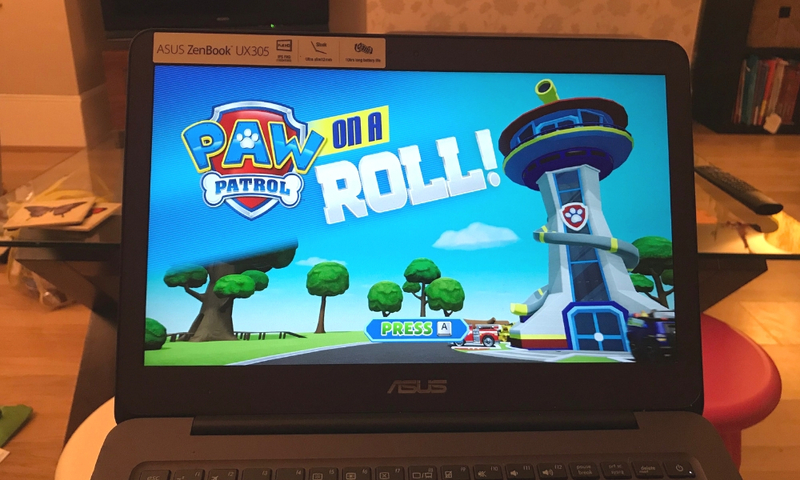 She’s also a massive fan of Paw Patrol, knowing the names of each dog and the theme tune, so naturally she was really curious to play the new Paw Patrol on a Roll game. We have downloaded the game onto my computer, so I get to support her playing it and also means that I get to see the game in action for myself. Plus it brings back that little piece of nostalgia playing computer games as a child. I have two words for this game: REALLY FUN. It’s simple. The Paw Patrol team is ready to save the day in Adventure Bay across 16 different rescue missions. No job is too big or too small for Marshall, Chase, Skye, Rubble, Everest or Tracker to use their skills to rescue their friends and community. There are eight different Adventure Bay locations including Yumi’s Farm, Jakes Mountain and Desert Canyon. What excited us about the game is for all of the above reasons, but also because it is suitable for children of all ages. During playing the game you will discover so many things from puppy treats to playing micro games enhancing the skill of each pup. 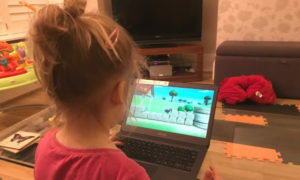 This is really the first time that my daughter has played a computer game. She’s played mini games on my phone and iPad but nothing that would qualify itself to be a computer game. 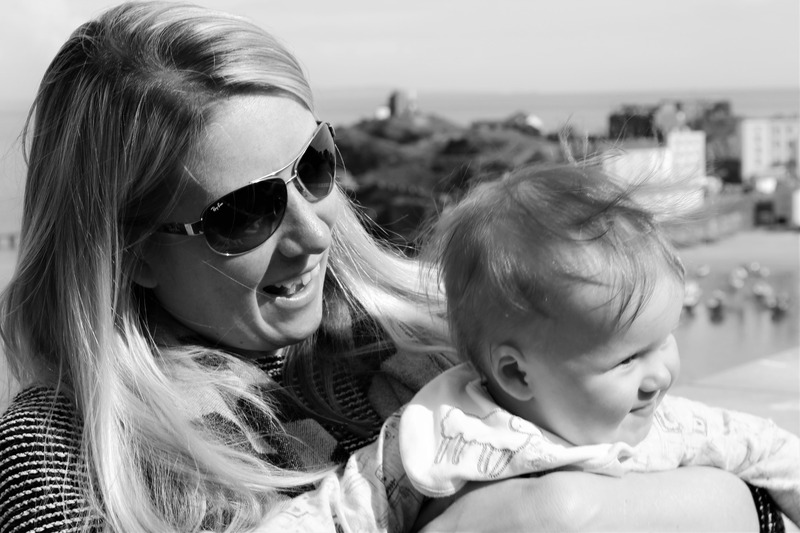 She loves playing the different dogs, collecting puppy treats, and loves the bright colours of the game. 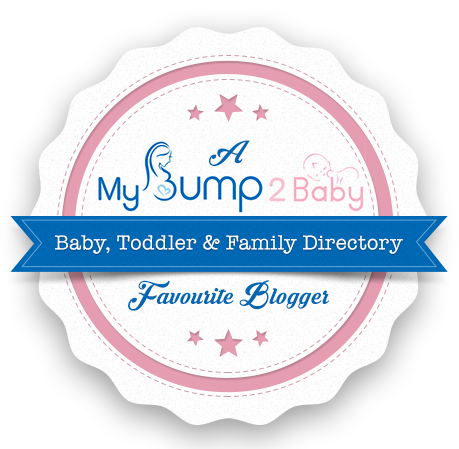 It is perfect for young children to play and really quite easy too, there is nothing complicated about this game. The voice over is brilliant for telling you what to do next. 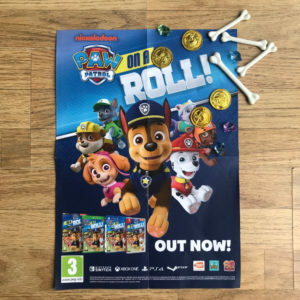 The instructions that flash up on screen for you to grab special items or for the Paw Patrol to help the mission are really helpful for little ones. Plus it helps to get them thinking how to problem solve too! Where can you buy the game? 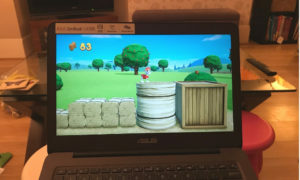 You can download the game for your computer from STEAM, or you can buy the game for your Nintendo, XBox and Playstation from Game, Amazon or Smyths. The RRP is £29.99 and this will vary by retailer. Have a great time playing the game. 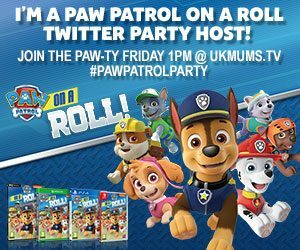 To join in with all the fun you can take part in my Paw Patrol Twitter Party at 1pm tomorrow (Friday 30.11.2018) #PawPatrolOnARoll. I was gifted this product for the purpose of this review and all opinions are my own.